On Tuesday, Israel-based drone maker Aeronautics Ltd. announced in a filing to the Tel Aviv Stock Exchange that government-owned defense contractor Israel Aerospace Industries Ltd. ( IAI) is one of the entities negotiating the company’s acquisition, confirming an earlier Calcalist report. The company announced a second entity is negotiating the acquisition of Aeronautics’ 50% in Controp Precision Technologies Ltd., an OEM it owns jointly with defense company Rafael Advanced Defense Systems Ltd. Rafael made an acquisition proposition for Aeronautics in August according to a company valuation of NIS 430 million ($115 million). Also on Monday, Aeronautics announced Israeli businessman and billionaire Aaron Gover Frenkel bought additional company securities, increasing his stake from the 13.32% he acquired over the weekend to 17.35%. 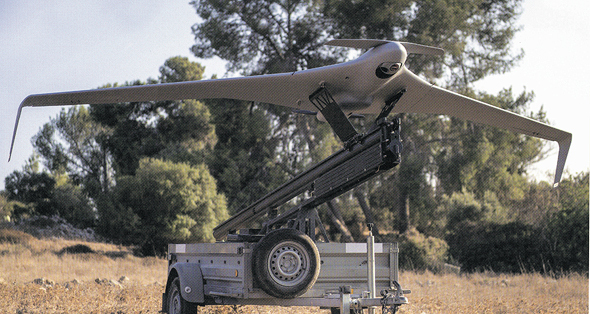 Frenkel owns Loyd's Aviation Group, and also UVision Air Ltd., an Israeli company that develops and manufactures unmanned aerial loitering systems. Since Frenkel’s acquisition was first reported on Sunday, Aeronautics’ stock rose 35%. Aeronautics’ stock has been on a consistent slide since the company listed in June 2017, at least in part due to an investigation launched against the company and many of its senior executives in September 2017. Israel Securities Authority agents raided the company's offices and confiscated documents on Monday, extending an Israeli court issued gag order on the investigation for six months. In November, Aeronautics reported $30.5 million in revenues for the third quarter of 2018, a 23.7% drop compared with the same period last year, and $91.5 million in revenues for the first nine months of 2018, compared to $109.2 million in 2017. The company reported a net operating loss of $5.76 million for the first nine months, compared to a profit of $10.65 million in 2017.